-What you choose to drink? Coffee, Tea, Beer, Soda or something else? One of us is almost coffee addicted, so only reading the word “coffee” in the question just made him go and grab an espresso. But we would take a beer too, maybe a local one (of your cities), since we like to try them. – Introduce yourself to us! We’re NEVERCREW, artists duo from Switzerland. Our names are Pablo Togni & Christian Rebecchi. -How do you define yourself? Artist? Street artist? Anything else? Also if we could discuss a lot about the definition and meaning of “art” and “artist”, in a general sense we use to say “artists” and when we need to quickly explain what’s the main part of our work we also say “street artist”. We know that’s not a specific term, but it’s good to contextualize and superficially explain the attitude we have with what we do, the contexts in which we work and the way we do it. – How did it all start for you, and what is it nowadays? This path has come quite spontaneously. We both attended the art school in the mid 90s, where we met and we started working together, and later the Academy of Fine Arts of Brera in Milan (I). We both have always had a tendency to “build” and experiment with different techniques (drawing, sculpting, filming, photographing, building stuff,…), and it’s in this that we have been able to start looking for a mutual synchronicity. Our “official” first collaborations were related to images (mainly drawings, comics and graphics) for vinyls and mix-tapes of hip-hop bands, whose culture in the 90s was very much present in our region (Ticino, south Switzerland). The graffiti culture has therefore given the stimulus to start realizing wall paintings, and since then we have continued to develop the techniques and the approach to the use of space. If initially the wall painting was mainly a passion for us, it was almost immediately transformed into a decisive factor in our lives and, after the experiences in the art academy, we felt the need to make it our main path, deepening its potential and communication capabilities and starting the path we are pursuing today. Also if we could say that art and visual communication have always been a very important part of both our lives, nowadays they’re the watches that articulate our time and thoughts. As much as we put energies into what we were doing, as much as we went deeper into it and as much as we got more interesting opportunities, it became increasingly involving and absorbing. Right now we feel very connected with what we do and with the whole situation that’s around it: the places, the people, the communication we’re working on and that we’re trying to establish between us, our artworks and who perceive them. -What is the first thing you do when you get up in the morning? We probably both quickly check emails, since there’s always something going on to organize, and for sure the one mentioned before use to drink coffee. -Street art is mostly a visually stimulating form of art. To add one more sense to it, what music would you pick to accompany your art work? Interesting question. In a way we would add something instrumental, to give just a mood, but without conditioning the conceptual reading with lyrics that could be easily understood before trying to get the image. On the other side it could be interesting to use musicians with a conceptual importance on their own, for their cultural belonging, for their political principles, and maybe also choosing songs with lyrics that slightly connect with the artwork, but that can add also a new perspective. As for example, we both really like Fabrizio De André, italian songwriter that died in 1999 and who used to sing about the human condition, about minorities, about social injustice, often analyzing the powers, the systems and humankind itself with strong empathy and an impressive ability in evoking and transmitting concepts, situations and emotions with his poetry. -In all forms of art, inspiration is crucial. What is it that inspires you? Many years ago we had no idea that we would have definitely chosen the artistic way; we had many different ideas about how we would spend most of our lives. Then with time, and almost without realizing it, we have embarked on this path and as time went on we realized that it was becoming increasingly difficult to do without it. We realized how we were involved and how the way we think were influenced. The greatest inspiration is then perhaps intrinsic to this particular chosen path that forces you in itself, for its instability, to be in motion and to make yourself surprise continuously. -What is the hardest part while working on a piece of art? If we talk about the urban interventions, the hardest part it’s probably also the most interesting: the fact that for each artwork you have to deal with different persons, different places, different situations and different logistics. This on a side creates a continuous communication and continuous thoughts about decisions, organization, planning, possible problems to resolve, good and bad surprises, changes,.. that for each situation can start many months before the actual realization and so in the layering of works it becomes mentally infinite; on the other side this variety is also very stimulating and it opens always new opportunities to learn and to be surprised, to meet very nice and interesting people, to create with places special and strong connections that we would never be able to create when we’re only tourists. 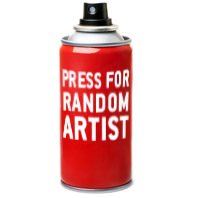 -Do you have an artist(s) you admire and what for? We always had particular interest for avant-garde artists such as Piero Manzoni, Fernand Léger, Jean Tinguely, René Magritte, André Breton and the Surrealist movement as a whole, both for its creations, its perspectives on reality and its social and political components. Another artist that we consider important for us is Joseph Beuys, for his relationship with nature, his idea of concrete utopia and social sculpture. -Which cities are the most inspiring for you? Each city is inspiring in its way. European cities like Paris, London, Madrid, Berlin are a concentrate of history, art, activities and cultures; New York is something giant made for us small humans, full of people coming from all over the world, full of energy and everything; Dublin is inspiring for its music, that’s everywhere, as well as the whole Ireland for its culture and its astonishing nature; Hamburg with its differences and the wonderful St. Pauli area; Bologna for its perfect size, its quiet but rich bustle, its food and its political history; …But really, in each city we found something inspiring, also when we just had the time to take a dinner break after painting for a few hours per day. -What other passions do you have apart from art? Photography, music-making, cinema… but it’s hard to consider these “apart from art” and, as said, it’s really hard for us to distinguish working-time from free-time. -Do you have a wild project that you dream of achieving some day? A few ones are too fantastic and sci-fi and probably impossible to achieve. Other ones are more realistics and are mainly related to the future of what we create now. But we’re still working on them. -Tell us about your art, does it include symbolisms, messages or repeated patterns? From a stylistic point of view our work could be defined as visually hybrid: it combines a simple graphical structure to realistic and formally complex elements, arranged in different spatial levels. We have never been interested in looking for a specific and unique realization technique, but rather in find the combination that could allow us to build the concepts and convey contents and feelings in a way closer to us and our needs, and for us more effective. The idea of “construction” and “composition” is therefore probably the one that better defines our work, and it’s present in our process at different levels: there is both a defined graphic composition, which structures the “frame” of the work, and a composition of elements that intertwine with each other, and that in turn forms new combinations. In these structures various elements relate together in a decidedly precarious and often forced balance. Living and inanimate elements, mechanical and natural elements, materials and animals. In this logic we associate different physical dimensions, using painted two-dimensional and three-dimensional subjects in relation to the three-dimensionality and two-dimensionality of the real, generating a final with a surreal impression in connection with the context. As a recurring element, between the two-dimensional ones, there are the mechanisms (that we also call “living structures”), another element (often not very showy) which for us represents very well our overall work and our approach. These mechanisms become for us therefore almost an allegory of the overall work, highlighting at a first level their own nature as system and then recalling the system of the artwork and the one in which the work is inserted, in a collaborative relationship between the parties and the whole. Between the natural elements that we choose there are bears, polar bears, wood, quartzs, rocks, icebergs and whales, which are probably the ones on which we worked more. The cetaceans are animals that allows us to create a much broader discussion with and on the power of their image, since we believe they can give us the opportunity to build a communication that could be at the same time more direct, but absolute. We often use their image to insist on the relationship between mankind and nature. In other situations the whale allows us to add a more specific reflection or an empathic connection. For many years, for example, the whale has enabled mankind to “turn on the light.” They were killed many whales with the purpose of obtaining the oil to burn for illumination, thus defining with the hunt the economy and the social structure of entire regions. Even today, the relationship between cetaceans and mankind is very conditioning for the first ones: in addition to hunting that has remained in some areas of the world, pollution, exploitation of resources and climate change significantly affect their health and habits. In this sense we are interested in the visual value that can have the whale as environmentalist icon. Its image includes a direct message, but at the same time allows us to extend the reflection in the direction that interests us, evoking a system and the system of which each one is an active part, in one way or another. And about the messages: our work, as mentioned, is based on the comparison. Over the years we have reasoned on the concept of “relationship”, starting first of all from a direct confrontation with ourselves and between us, as a duo, and then with the places and in general the contexts in which we interacted: the relationship between mankind and nature, the relationship between mankind and its nature, political and economic systems and hence environmental and social issues. Depending on the case, we chose to propose a more general view or to touch a specific theme. What we try to do is stimulate reactions and thoughts about issues that are dear to us and which we consider important for our society, and in general for our planet. What we want to communicate (or remind) it’s thus primarily the feeling of being part of a system, of being a participant and being able to view it from a certain point of view, for what it is and for what it could be, putting the human figure at the center as a living entity outside the work and trying to take it to reflect on its position. In this way we handled the privatization of natural resources, consumption and exploitation, pollution, global warming, environmental and social consciousness, passivity in contrast with a possible change, as well as social issues such as immigration and integration. – How long time does a piece of art work of yours usually survive for? Hard to say. If you mean on a physical side: if it’s not planned before that the work will be temporary or that the building/surface is going to be destroyed, they are made to stay many many years. There are a few ones that are still “alive” after 16 years and the very very first small try we did as Nevercrew it’s still there, outdoor, in a secret place, after almost 21 years. -What do people first think of, or feel, when they see one of your works on the street? We can’t know what people think, their first instctive impression, we know only what they decide to write us or what they yell us while we see us working on the lift. The reaction has various shapes: sometimes there’s more focus on the technical part, on the overall effect, some other times there’re interpretations and thoughts. We like to hear both kind of reactions and we honestly would really love to know their inner feelings, since we consider them important in our kind of communication. -What are your creative plans for the future? We’re always searching for more interesting opportunities in which to be able to express what we want and elaborate even more our overall work. -Is there a specific thought or message you would like to pass to our audience out there? Thank you! It’s been great to get to know more about the mind and person behind such talented and inspiring works. ‘’I Support Street Art’’ team. Thanks to you for your interest and your support! !